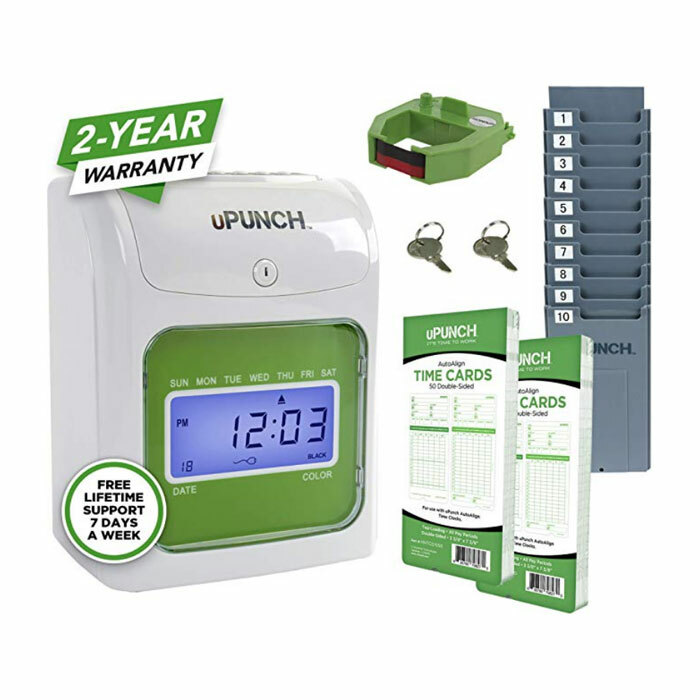 The uPunch HN3000 is an economical, non-calculating time clock for small business. It requires a specially designed time card, however they are easily available and inexpensive. Also as part of the offer, uPunch will give you a free uPunch cloud-based software account. It's a tool that allows you to manually enter your employee hours to manage and run reports. To be clear however, it does not transfer data from your clock.